It would be an understatement to say that the National Transition Council (NTC) has failed to govern Libya effectively since the fall of Gaddafi. 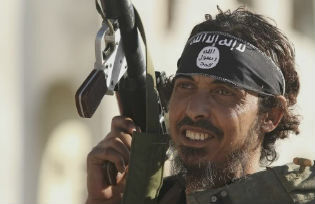 The majority of territory outside Tripoli has fallen under the control of armed militias that have refused to disarm. Violent campaigns along tribal and ideological lines have been waged by Libyans determined to settle old scores and influence the ongoing political transition. Libya’s armed Islamists are well positioned to shape the course of events. This year the NTC will be challenged to integrate the Islamists into the national political system, yet failure to do so will likely result in marginalized militants playing the spoiler. If current events in Algeria and Mali are an indication of what the future holds for Libya, Islamists may be expected to wage armed attacks against their opponents and western targets, which can only further damage Libya’s investment climate. Although the majority of Libya’s Islamists supported the 2011 uprising, they hold a diverse set of political views and are divided by tactics. The Libyan Muslim Brotherhood (LMB), National Front for Salvation of Libya (NFSL), Islamic Rally Movement (IRM), and Libyan Islamic Movement for Change (LIMC) have all expressed an interest in non-violence and participatory democracy. Last June the LMB’s political wing — the Justice and Construction Party (JCP) — participated in the election for the General National Congress, winning 17 of 80 seats. The LIMC, previously a guerilla jihadist group in the 1990s, renounced violence several years before the uprising and consented to the NTC’s authority in 2011, reflecting a willingness to share power with non-Islamists. However, these groups’ long-term political agendas and commitment to democracy have been questioned by analysts who suggest that their acceptance of electoral democracy is a tactic to gain power and fend off Western criticism during the transition period. By contrast, other Libyan Islamists reject democratic practices and actively promote violent jihad. The Salafist Ansar al-Sharia (AaS, or Protectors of Islamic Law) is one of the most heavily armed factions in Libya and adheres to an extremist ideology not unlike the Taliban in Afghanistan, Jabhat al-Nusra in Syria, or Ansar Dine in Mali. Believing democratic elections are “un-Islamic”, the organization vows to remain armed until a strict version of sharia law is implemented across Libya. Based in Benghazi and Derna, AaS is a product of the uprising and believes that it owns the revolution as a result of resisting the regime before the NATO no-fly zone was imposed. In June the group attempted to assassinate the British Ambassador and during late August, it made international headlines after bulldozing ancient Sufi shrines in Tripoli and Zlitan. The September 11 attacks on the U.S. consulate in Benghazi were carried out by the AaS, according to Libyan President El-Megarif. AaS is heavily armed with anti-aircraft weaponry and automatic weapons, and numbers up to 5,000, but the group has gained legitimacy among a variety of non-militant groups within Libya, particularly after it assumed responsibility for guarding one of Benghazi’s main hospitals last year, which was previously forced to operate under the threat of violence. While the NTC must eventually tackle groups like AaS, in the short-term it is forced to rely on autonomous armed battalions such as the AaS to ensure security, while seeking the longer-term objective of either disarming them or bringing them into a national military. The vast majority of Libyans reject the type of extremism posed by AaS. Last July, Libyan voters expressed a preference for secular parties — even over the moderate Muslim Brotherhood. Whereas the Egyptian and Tunisian Muslim Brotherhood secured the greatest number of seats in their respective elections, nearly half of the seats reserved for political parties in Libya’s General National Congress were carried by Mahmoud Jibril’s liberal coalition, and the JCP received less than one quarter. Following AaS’s actions in Benghazi and the Sufi tombs, widespread demonstrations were held to protest the group’s brand of Islamism and violent tactics. Public opinion will therefore hamper AaS’s ability to implement its ultra-conservative agenda, but given Libya’s current power vacuum, hard power carries more weight among a portion of the electorate than democratic principles. Assuming that AaS continues to be heavily armed and highly disciplined, and that the factionalism that currently defines Libya’s political landscape continues, AaS and similar groups are positioned to maintain the power they have acquired since 2011, implying that compromise will not be a dominant part of the political lexicon in the near term. Numerous countries that trade with and invest in Libya have an interest in seeing the country become a functional democracy and achieve stability. As Africa’s top oil producer and fourth biggest natural gas producer, Libya has held substantial leverage with countries in the region that lack indigenous natural resources. While during the uprising oil and gas exports naturally tumbled, production has nearly returned to pre-uprising levels. So while Libya’s traditional oil and gas importers are hopeful about the future, if extremists were to assume power, it is reasonable to expect these countries to turn elsewhere for their energy supplies. Prior to the uprising, Libya was Italy’s number three supplier of natural gas, meeting approximately 10 percent of the country’s demand. At that time, Italy was Libya’s top importer of crude oil, with nearly a quarter of Italy’s total oil consumption coming from Libya. The only pipeline from Libya to Europe is the Greenstream pipeline, which transfers natural gas to Italy as part of the Western Libyan Gas Project – a 50/50 joint venture between the Libyan state-owned National Oil Corporation (NOC) and the Italian energy firm Eni. At its peak, eight billion cubic meters of natural gas were exported from Libya to mainland Europe via the pipeline. Acts of sabotage against this pipeline would severely impact Italy’s ability to rely on Libyan gas, compelling Rome to become increasingly dependent on Russian gas – something no western European country desires. Spain is also a major stakeholder in Libya’s future. Prior to the uprising, Spain imported 13 percent of its oil from Libya. Following the outbreak of the uprising 2011, the Spanish government introduced measures to reduce national oil consumption. Like Italy, Spain’s economy remains fragile; increased energy costs resulting from an interruption of Libyan supplies would only add to the nation’s economic ills. Madrid therefore has much to lose from greater instability in Libya. Increased turmoil, or a rise in militarism in Libya, would likely result in an influx of immigrants from Libya to Europe. Given the poor state of the EU’s economy and the rise of the anti-Muslim Right in Europe, a rise in North African refugees would not be well received and could contribute to greater economic strain and the propensity for social unrest, which would have an impact far beyond Spain. The rise of militant factions in Libya could also have a host of negative implications for North Africa. As the Tunisian government addresses its own violent Salafi extremists, the rise of the AaS in Libya could embolden Tunisia’s ultra-conservative Islamic militants to increase their own activity. And as has already been proven as a result of the Libyan jihadists’ contribution to the Algerian gas plant hostage tragedy, much of North Africa is already being impacted. None of this bodes well for the decades-long effort to create a Arab Maghreb Union, resolve the lingering dispute over the Western Sahara, or increase foreign direct investment in the region. The high levels of mistrust and paranoia between Libya’s armed tribes further undermines the prospects for building a unified state in Libya. This is not welcome news for Libya in the longer term, those countries dependent on it for energy, or other countries in the region that either have a jihadist presence or are failed states.